Without truly understanding the key elements (and possessing the necessary skills) to conduct a thorough, effective investigation, people run the risk of missing key causal factors of an incident while conducting the actual analysis. This could potentially result in not identifying all possible solutions including those that may be more cost effective, easier to implement, or more effective at preventing recurrence. Here we outline the 5 key steps of an incident investigation which precede the actual analysis. *Our Incident Investigator training course examines each of these considerations and more, giving you the knowledge to select investigation team members wisely. Be prepared and ready to lead or participate in an investigation at all times to ensure timeliness and thoroughness. Have your “Go Bag” ready with useful items to help you secure the scene, take photographs, document the details of the scene and collect physical evidence. *While every step in the Incident Prevention Process is crucial, step 4 requires a particularly distinct set of skills. A lot of time in our Incident Investigator training course is dedicated to learning the techniques and skills required to get this step done right. Stickers can be used on poster paper to start rearranging information on a timeline. Use different colors for precise data versus imprecise, and list the source of the information on each note. *Steps 6-10 are taught in detail at our Root Cause Analysis Facilitator training course. To learn more on the difference between our Incident Investigator versus RCA Facilitator training courses, check out our previous blog article and of course, if you would like to discuss how to implement or improve your organization’s incident prevention process, please contact us. 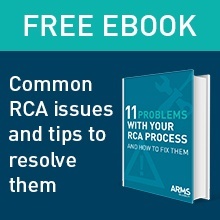 To have a successful implementation and adoption of your new RCA program, it’s crucial to have all the elements of an effective and efficient program clearly identified and agreed upon in advance. Process mapping exercise to document RCA management from the beginning of a triggered incident to completion of implemented solutions, including their impact on organization’s goals and objectives. Develop a Change Management plan, including a detailed communication plan, that specifically targets those whose job duties will be affected by the RCA effort. We recommend conducting a workshop in order to define each of these crucial elements of your RCA program. The workshop should be conducted for what we call a “functional unit” which ideally is no larger than a plant or facility, however, it can be modified to accommodate multiple facilities. 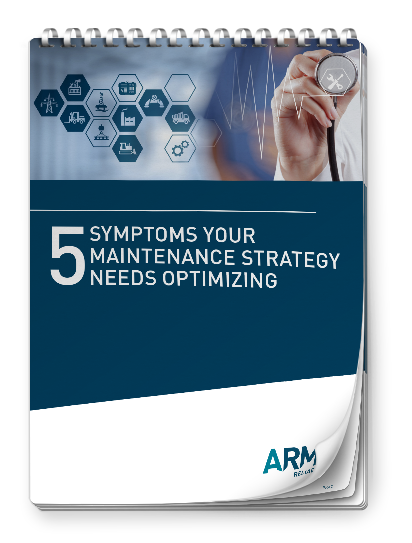 By structuring programs to fit within the goals and objectives of the business, or “functional unit”, rather than applying a ‘one size fits all’ solution, effective and long lasting results can be realized. Implementing a new RCA program or need to reinvigorate your current one? ARMS can help you create a customized plan for its successful adoption. Contact Us for more information.